Elyros was an important city in the south-west of Crete. 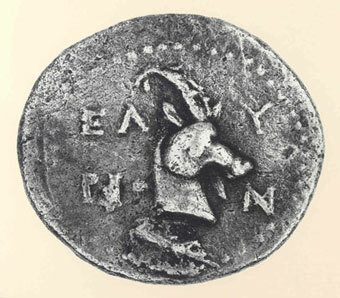 The output of its mint consists of silver drachms from the 3rd c. BC, which depict a wild goat and a bee; in addition to their function as religious symbols, these undoubtedly hint at the stock-raising activities in the region, particularly to this kind of wild goat, which can still be found in great numbers on the island. 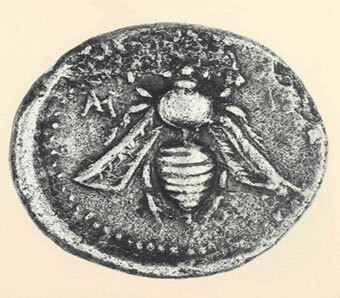 The bee also has reference to the abundant honey-production of Crete.